Guangzhou, China – March 9, 2015 – BASF, the world’s leading chemical company, will sponsor the “Design x Innovation” event at the 29th International Exhibition on Plastics and Rubber Industries (CHINAPLAS 2015). The event will focus on the power of plastics technology in empowering designs that boost product innovations. Plastic technology helps customers respond to fast-changing market needs, such as sustainability demands, intense competition, and the requirement for faster time to market. The “Design x Innovation” event consists of a gallery showcasing plastics innovations, open forums for industry experts, and interactive programs. Through these platforms, the “Design x Innovation” event will illustrate how plastics technology opens up design possibilities to inspire new product experiences – showing how lighter weight, new looks, new materials, and new functionalities can address the needs of daily life for energy efficiency, lifestyle and performance. “Over the years, we have worked with customers from different industries to drive product innovation. We want to help our customers further realize design ideas through innovative plastic solutions. At this event, BASF will showcase innovations and present together with product designers and experts from various fast-changing industries,” said Mr. Andy Postlethwaite, Senior Vice President, Performance Materials Asia Pacific, BASF. “CHINAPLAS is proud to work with BASF to create ‘Design x Innovation’. As Asia’s No. 1 plastics and rubber exhibition, CHINAPLAS aims to reflect market dynamics and plastics technologies’ progression to the industry,” said Ms. Ada Leung, General Manager of Adsale Exhibition Services Ltd, organizer of CHINAPLAS. 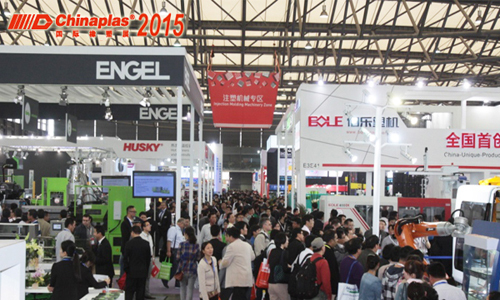 CHINAPLAS 2015 will be held on May 20-23, 2015 at China Import & Export Fair Complex, Pazhou, Guangzhou, China. “Design x Innovation” will be in two locations of the fairground: at booth A21 in Hall 13.2 and at the Viewing Deck outside Hall 9.3 in Zone B. The “Design x Innovation” event will showcase samples of the latest designs inspired by plastics, including vehicle and auto parts, consumer goods, industrial applications and building materials. The Open Forum will feature representative associations and product designers who will be invited to share their outstanding work and experiences with visitors.